Orpheus Island is a true Great Barrier Reef island, located fifty miles north of Townsville, one hundred and twenty miles south of Cairns and fifteen miles offshore. It is fringed by sheltered bays and seven unspoiled sandy beaches, wreathed in spectacular coral gardens and invigorated with native flora and fauna. 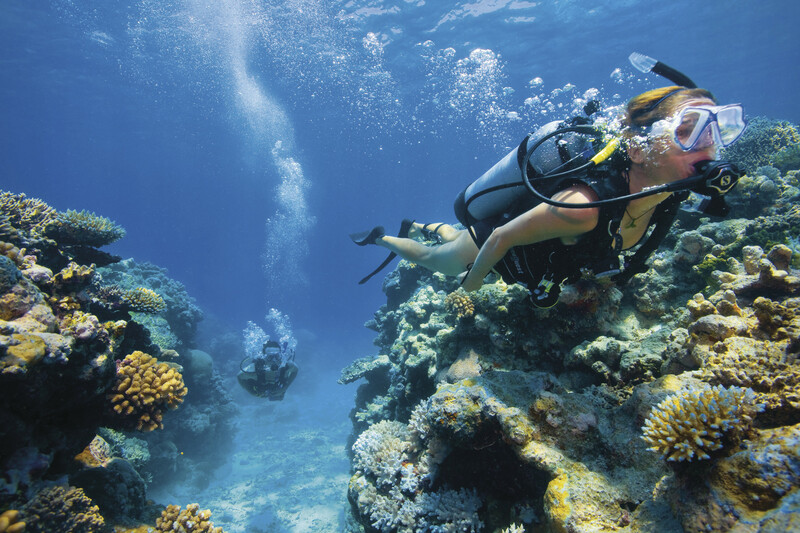 While snorkeling guests will view giant clams in their natural environment and look for over a thousand species of tropical fish and more than three hundred varieties of reef coral in the underwater gardens surrounding the island. The entire island, 3380 acres was declared a National Park in 1960. 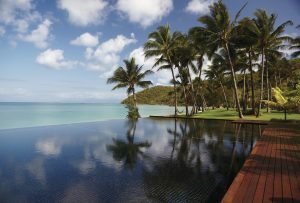 Guests are likely to see echidnas and bandicoots, harmless brown and green tree snakes and green tree frogs in the rainforest, woodland and around the resort. Many native birds can be found on the island including the orange-footed scrub fowl, brilliant yellow-bellied sunbirds, friar birds, boobook owls, sulfur crested cockatoos, ospreys, spangled drongo, brahminy kite, reef heron and rainbow lorikeets. 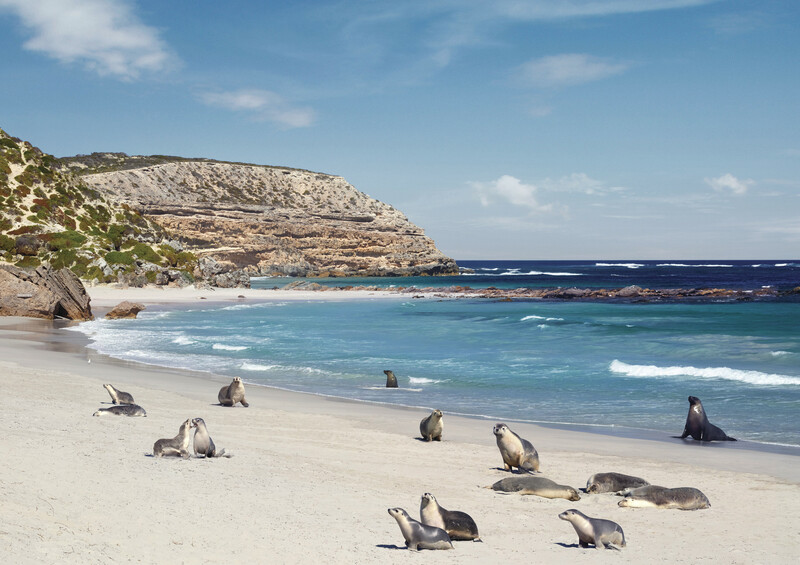 One of Australias true wilderness areas, Kangaroo Island is a place of rugged cliffs, roaring surf, pristine beaches, vivid blue ocean waters, dramatic caves, beautiful bush land, national parks and home to an abundance of wildlife. Its natures paradise with unique flora and fauna found nowhere else in the world. To derive the greatest pleasure and value from any visit to KI we always suggest exploring the island with one of our specialist guides who know just where to find the timid Aussie wildlife and where best to observe the spectacular scenery along the South Coast. Situated right on the famed Great Barrier Reef, Lizard Island is an exclusive island; with 24 soft white beaches and fringed with coral reefs. Guests are limited to just 80 at any one time. This is an island where you can enjoy a wide choice of activities or simply take a break and luxuriate in the peace and solitude of the islands delightful natural environment. 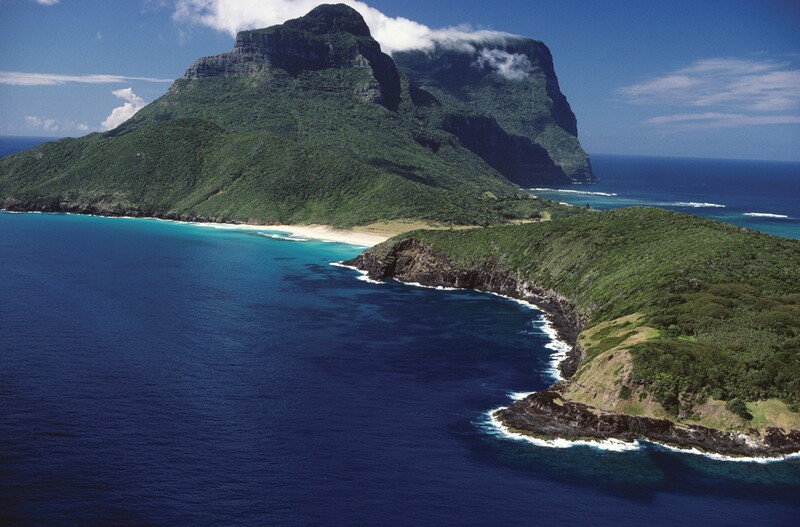 After flying over 370 miles of empty ocean from Sydney you will be in awe as you approach the breathtaking World Heritage listed Lord Howe Island, formed when a volcano erupted 6 million years ago. 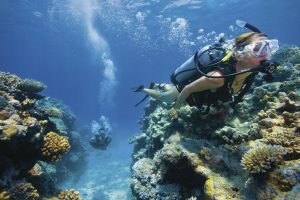 Snorkeling on the most southern coral reef in the world that teems with marine life of over 500 species of fish and 90 species of coral is a popular past time. World-class bush walks through the natural forests of spectacular Banyan trees and Kentia palm range from easy level-ground walks to challenging hikes to the peak of Mt Gower. In order to maintain the islands pristine environment and uniqueness the number of visitors is limited to 400 at any time. 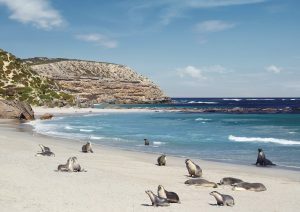 Get off the beaten path on an award winning four day guided walk on historic Maria Island where peak hour traffic is a line of little blue penguins emerging from the sea. 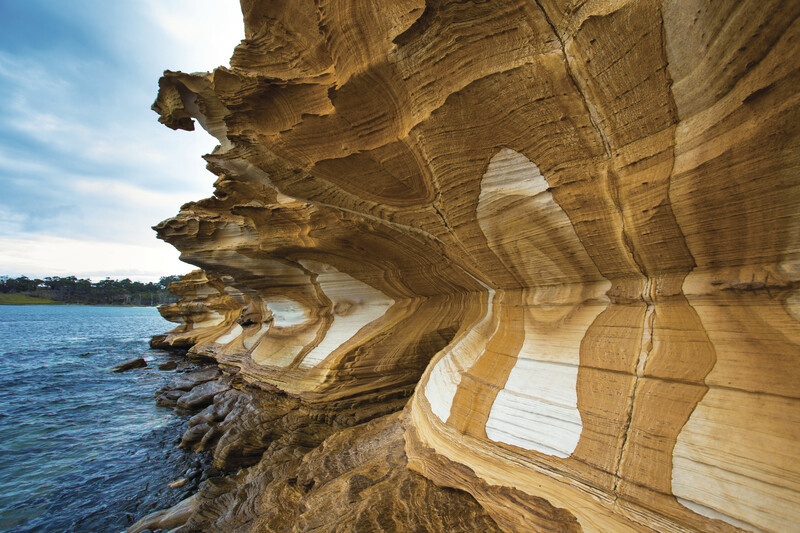 During your four day hike you’ll see world-rated fossil cliffs and tread softly through a refuge of rare wildlife and plants. You’ll trace the history from the era of convicts back to the ancient supercontinent of Gondwana. The entire island is a national park, surrounded by pristine beaches and secluded coves. Maria Island is a wildlife haven for mammals, birds and marine creatures and home to many rare and endangered species found nowhere else on earth. The meeting of the warm and cold ocean currents surrounding the island provides a rich source of food for bait fish, seals and sea birds. The island lies on one of the great whale migration paths. Maria Island has long been a prized destination for the keen birdwatcher with 11 of Tasmania’s 12 endemics and over 130 recorded species. There are almost too many animals to take in. Rare Tasmanian mammals that hop, climb trees, burrow underground or even lay eggs, seals and dolphins splashing happily in the sea are all to be found during your adventure on Maria Island.